Remember when we were in school and we had to write essays or copy lines as punishment? Why do some people make writing a punishment when it’s so redemptive? It’s like running laps when you messed up in phys ed or on another sports team. Running doesn’t punish me. It saves me. Girls Write Pittsburgh knows this and right here in Pittsburgh offers writing as a source of inspiration and empowerment. When I was a young girl, I didn’t know it was possible to have a job as a writer. I knew that some people had jobs as newspaper reporters, but that wasn’t exactly what I wanted. I wanted to write and tell stories, fiction and non-fiction. Perhaps I wasn’t particularly bright, because while I knew that people authored and wrote the stories I loved, I didn’t put it together that it could be a job. Nobody said I couldn’t be a writer, but nobody said I could, either. But it’s ok. That didn’t stop me from writing. I’ve written my whole life. It just took me a long time to realize it could be my real-life job. I always imagined I’d be a teacher. And in many ways in my life, I’ve done that and loved it. But now, thankfully, I’ve gone and made a life for myself as a writer. Being a writer is incredibly fulfilling and not just because I get to do what I love, but because I get to meet amazing people like the creator of Girls Write Pittsburgh. I’m incredibly inspired by Girls Write Pittsburgh and I’m looking for ways to support this project. First, they need donations. Second, they need mentors. They need places to host events and they need authors and writers to mentor and host workshops. I’m so committed to expanding the voices that are telling stories in our world, and I see Girls Write Pittsburgh as an important way to do that. 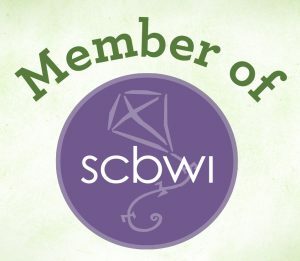 If you’re an author, illustrator, storytelling, creative, writer, or just love good stories please consider supporting Girls Write Pittsburgh. Animals make excellent symbols in writing and my children love books and stories about animals. One of their favorite stories is a little one I tell them about my guardian hawk. The hawk lives in the small copse, or group of trees, that borders our property. There are lots of tasty rodents for the hawk to enjoy in our area including chipmunks and squirrels, as well as the occasional snake surprise. Hawks are used often in books. One of my favorite books, My Side of the Mountain (Puffin Modern Classics) , features a boy who lives on his own and tames a hawk. This is an excellent book for middle grade readers. For older readers, T.H. White includes hawks in The Once and Future King . Adults who enjoy a creative non-fiction work might like a book I recently heard about titled H is for Hawk. This book is a memoir of a woman who dealt with grief, or great sadness, by taming a goshawk. I love to include symbols in writing, and birds make excellent symbols. As your child reads books or writes their own stories, talking about symbols in writing is a great way to increase their understanding of the text. It can also fuel creativity in their other work. I typically use birds as symbols based on the roles they play in Western culture, but with a little research it’s possible to introduce knowledge about other cultures using birds. Here are four birds that my boys and I feel might symbolize us. Let’s start my personal favorite, the hawk. I recently read that hawks can symbolize a person’s ability to soar over obstacles, to see the big picture, and to take action when the time is right. Hawks can also symbolize messages from the spirit world. 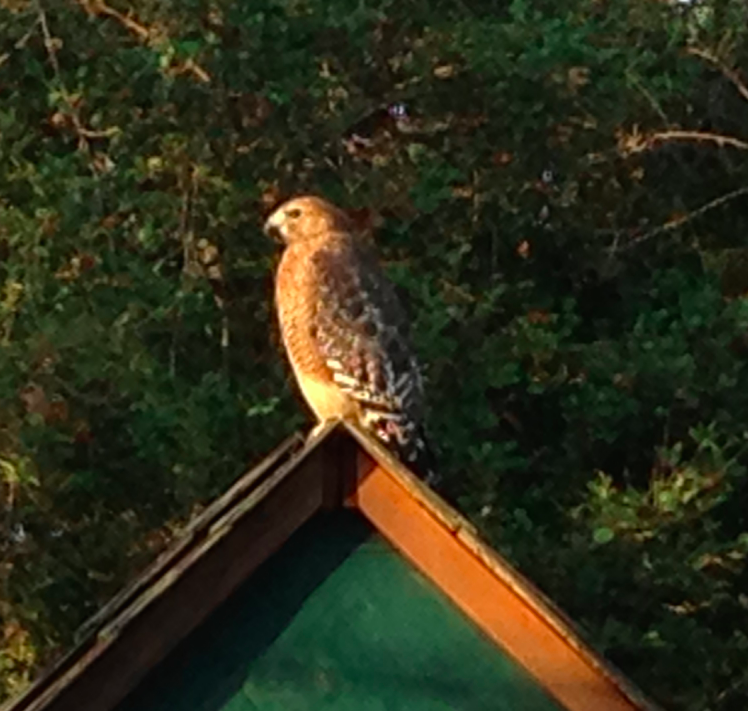 If I were to use a hawk as a symbol in writing, I would use it as a guardian figure or possibly a judge. My youngest son has chosen the blue jay as his bird symbol. This bird has a lot of meaning to Native American cultures and is very curious and represents people with the “gift of gab.” The blue color of the blue jay against a blue sky represents double clarity of vision in the Sioux tribe. If I were to use the jay as a symbol in writing, I think I’d use it to represent a curious child or an inventor figure. My middle son told me to think of him whenever I see a blackbird. This symbol is well-known to me from Irish myths and legends because it is associated with Morrigan, the goddess of war. It is a gruesome image, but blackbirds are seen as harbingers, or warnings, of coming battle. They are also seen in the awful aftermath of battles. But blackbirds, be they ravens or crows, have a different meaning to the New World peoples who see them as creators. They are creatures of high intelligence but are not above using trickery. As a symbol in writing I tend to see the blackbird as ominous, powerful and something to be respected. I’m not sure if my oldest chose the duck as his symbol or if he was assigned this particular bird. I can’t help but laugh when I think of it. Our list starts with a majestic bird of prey the hawk, then moves to a colorful curious jay, then the dark, mysterious blackbird and ends with the comical, practical duck. At least, that’s how I would use a duck as a symbol in writing. But is that really what ducks represent? One meaning of the duck is freedom, the ability to move through air, land and water. Ducks also live in communities and could symbolize group work rather than individual action. Ducks in dreams might be a warning that danger is coming. Don’t be a sitting duck! There are so many different ways to use symbols in writing and these are just a small sample. Take a look at how other cultures view these birds and other birds. Birds can add depth and meaning to a simple tale. Do you use birds as symbols in writing? What symbols in writing do you like to use?